Welcome to the Lincoln High Alumni Association! 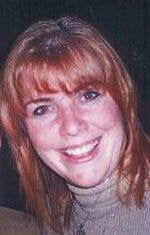 ​We are a diverse group of alumni with a singular interest: doing all we can to support Lincoln High. Welcome, Class of 2018, to the Lincoln High School Alumni Association -- and welcome to the incoming Class of 2022, too! 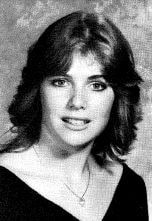 It amazes me every September when I see all the social media postings of the kids on their first day of school, and I catch myself drifting back to my first days at Lincoln. The comparisons of the Old Lincoln to the New Lincoln, the curriculum of then and now ... how times have changed! But, the changes never stop at Lincoln. ​Did you know that students have to apply to go to Lincoln? Did you know that there is a waiting list to get into Lincoln? Did you know that Lincoln has one of the top graduation percentages in the Philadelphia Public School system? ​ There is so much to be proud of at Lincoln, and I look forward to the achievements the staff and students will be making this year. 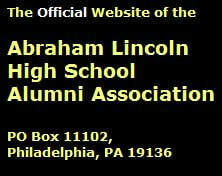 The Lincoln High Alumni Association proudly supports all the students of Lincoln, past and present. If you're thinking of joining the Alumni Association we would be glad to welcome you, and we'll be happy to put you to work. The work we do seems to be neverending -- but if everyone does a little, no one does a lot.